There is no peace without justice while we are living “east of Eden.” If shalom (universal peace and flourishing ) is the end goal of all of creation (human and non-human), then peaceableness is the top floor of shalom and justice is the bottom floor, the foundation; they are book ends if you will (read my thoughts about peace here). So what is justice? In the Greek culture, justice most likely referred to the Greek goddess Dike, who would have been the personification of the virtue. This is where the Greek (and biblical) word díkaios would have come from, which means, “to be just, or right.” In the biblical sense, the word justice would imply not only the just execution of the law of goodness, but right living on behalf of those who cry out for justice. The words “righteous” and “justice” seem to go hand in hand in the biblical narrative, and they actually could be defined by the term justification. In salvation terms, to be justified, is to be declared “right and good” before God and having been justly acquitted of one’s rebellion and brokenness because Jesus paid for what we deserved (justice) with his sacrifice. So justice, in part, means to be free and forgiven of one’s inner and outer brokenness, and empowered to do what is right based on the freedom one has received. This is the long and difficult way of simply saying: justice is that state in which everyone receives what is rightful and appropriate. Since humans are created with certain rights (food, clothing, work), then a society is just when everyone in the society enjoys the goods that everyone has rights to. But a society is also just when there are consequences for those who have disregarded or kept others from these certain rights as well. A city that is just is a city that respects the dignity of every human, especially within the Christian worldview that believes that every human is created in the image of God. At the least, in the talk of renewal, justice is absent whenever basic needs go unmet. This means that liberation from in-justice and repairs made because of the wrongs done are at the very core of justice. If one skimmed the Old Testament to search out who were some of the people whom God had special concern for in view of justice, you would see that it is the most vulnerable of society: widows, orphans, aliens, sojourners, the homeless, the naked, the hungry and the afflicted. And this justice was never a nationalistic priority that made one nation or one people group more important than another. Actually, we can see in the narrative of Scripture, when Israel took their nationality too seriously, or saw themselves as more important or elite and selfish, correction swiftly followed. Humans, universally, who are a part of the demographics of God’s special concern are to be an integral part of our every day relationships. If we followed this theme throughout the Old Testament, it would be hard to ignore the loud and clear message that justice happens when the marginal ones are no longer marginal. And this Old Testament understanding of justice is fully embodied in Jesus, who was very concerned with those who were on the margins of society, those who were vulnerable and exploited by people who had the power, and in many cases, Western Christendom has been more about law and power than justice and service. This can also be teased out to include all who have ever come to Jesus for salvation (the forgiveness of one’s sin and being declared right before God). We are all marginalized because of our brokenness, cut off from God, but because of God’s mercy and love for us, Jesus became one of us, to once and for all, deal with the rebellion and tyranny that we created, both internally and externally. God brought justice to humanity through the advent, life, death, and resurrection of Jesus. The righteous demands of the law, or in other words, the legal expression of God’s justice, were satisfied when Christ was put to death and suffered the torment of separation from God, in our place. In simpler terms, it is because the “just” paid for the “unjust,” that we can be granted mercy and grace as people on the margins, and be brought near to God (no longer making our home in the margins). This is justice, which flies in the face of a Western view of justice, condemns all of us, if we indeed held ourselves to the standard of justice that we hold others to. Justice does not make sense to a world committed to the four P’s: power, progress, profit, and pursuit of happiness, and within this world view, many forms of churches in the West have been engrafted. When we see injustice happening in our city, it usually means that we will have to miss out on one or all of the four P’s if we’re going to stand against it. There’s no money in it for those who want to plead the case of the widow, feed and clothe the naked, or stand against oppressive systems and structures that abuse and exploit the weak. Actually, downward mobility is to be expected if one is going to give their lives to this kind of justice, and it’s hard to build a church when downward mobility is one of the chief engines of church growth. This new ethos must be present in the renewal of the Western church. The result of living a life of justice in the biblical sense in our 21st century Western society, most of the time, means that we lose ground on the four P’s of our culture and this is not very attractive, at least not long term. To see renewal happen in churches then, I am convinced that we will need an uprising of men and women who are willing to not be controlled by the P’s within the old institutional church model, and begin courageously living as an alternative community in the midst of our over-indulgences and commitments to the bottom line and financial sustainability of church business. This will not be an easy lot for the pioneers of renewal, but justice has never been an easy virtue to live by. After all, justice on God’s part was very costly. The promise of comfort is very seductive, especially when faced with needed changes in lifestyle to begin standing against injustice. Ultimately, justice will always prevail, with or without us, but we do have a choice to get in on the fight for “justice.” It’s not attractive nor easy these days to stand for what is just and right, nor is it always clear what we should be fighting for. I hope in this short article I gave you the beginnings of a blueprint with which to pray and meditate about what justice looks life in your life and among those around you. We are living within a contemporary Christian culture that has lost much of the ancient orthodox faith that has painstakingly been passed down to us and made Christian worship more about events, projects, and business, but not justice. I believe this “norm” must be renewed to have not just a biblical view of justice, but a biblical life of lived justice. Church: Divine Household or Refined Methods? The Spirit blows where he pleases or sometimes, he even chooses not blow at all. This should be scary to a church culture that has plans, methodologies, measurable outcomes, that guide them and determine how “church” is done. See, here’s the thing, the Holy Spirit will not be reduced to or restricted by our forms, methods, or measurable outcomes. While I believe that smaller gatherings, in a home for instance, allows the body of believers a greater freedom to respond to God’s Spirit, just meeting in homes can become another method. The wonderfully dangerous thing about methods is that they leave us in control, feeling like we are the ones building the Church, determining her shape, her form and her methods. The only one who is truly building the Church is Jesus Christ, who is the same reality and substance that replaced and reformed old models and shadows and rituals of the days of old (Hebrews 8:5-6). Jesus, the One who is greater than the Temple, greater than nationalistic Churches, and greater than our Western institutions, is among us today! What’s He saying? As the late Brennan Manning says, “There is no need to mince words. I believe that Christianity happens when men and women experience the reckless, raging confidence that comes from knowing the God of Jesus Christ.” And it is precisely these people who become “the Church”, the gathered family of God, experiencing Jesus, and therefore able to truly offer him to those who don’t know Jesus. We do not build a building in Roman form and call it “the Church.” We do not have special organizations or religious institutions in which we call “the Church.” What is the Church? It is the people of God living in union with Christ and His whole family within the household of God. It is the family of God building one another up into the fullness of who we were meant to be. Family discipling family, growing up, maturing, and inviting those on the margins into their family dinners, offering adoption in Jesus’ name for all who believe. That’s the Church. Our religious procedures and techniques, even the home church kind, can be the enemies of the real Church, God’s people. Through mimicry, we can hinder the realization of what we endeavor to be. God has not called us from the building of institutions to the building of home churches or smaller, more intimate gatherings. No, He has called us to gather around his Son, Jesus, in the glorious communion of the Trinity, Father, Son and Spirit, and give him freedom to continue to form it in new and fresh ways. Jesus, the Christ, is the starting point. His Spirit is now in charge. He’s our life, our joy, our power, our starting and ending point. He is the form we are to conform to, which gives us freedom to gather in new and fresh ways, in patient slow ways, in seemingly insignificant ways, and in ways that are rooted in particular places, caring for a particular neighborhood or people group. Jesus gives us freedom to be the Church in new contexts and at new times, other than in church buildings on Saturday night or Sunday mornings. Our heritage of over 1700 years of being preoccupied with various forms and methods that do not produce life, forms of godliness without power, is very hard to kill in us. The title “Methodist”, given to one of the major denominations, describes the mindset of many of the institutional churches of our day, looking for the right method. The Reformation was more external than internal in many ways, although many great doctrinal changes were made as well. Most of the changes however, were in the material form, which led to all the bloodshed that came with the reform. Much of the reform was void of the Spirit. The doctrine of “Salvation by grace through faith” was clearly established, yet death would come to those who disagree with them. Is that what following Jesus produces? Concern with external reforms has been the center of most Catholic and Protestant reforms. We are the family of God, the body of Christ Jesus, forming the divine household of the Trinity. Within the household of faith, life takes one form and one form only: Jesus. The true Church is the body of Christ without walls or divisions. What was the first century church concerned with? Following Jesus; not a method or even a movement called “Christianity”. That was the first century model and could be ours today as well. This is the form. This is Church 101, 201, and 301. The Church is nothing more than God’s family re-gathered around Christ Jesus and reconciled to one another, breaking down walls of division, offering Jesus to all, constantly reforming, and listening to the Holy Spirit to encourage and critique what she’s doing. Religious movement is what happens among “Christians” when Christ is absent. My prayer is that God would make our religion obsolete in the face of Jesus Christ, that church would once again become a divine household of people instead of a refined form of gathering. In the book of Ephesians, the word body in the Greek language is sṓma, which means “an organized whole made up of parts and members; a body, a collective mass.” In other words, the whole body of Christians collectively, of which Christ is the head. This word shows up in the book of Ephesians many times (1:22-23; 2:15-16; 3:6; 4:4, 11-12, 16, 25; 5:23, 30) (see also Rom. 12:5; 1 Cor. 10:17; 12:13, 27; Col. 1:18, 24; 2:19; 3:15). There is a very striking illustration in 1 Corinthians 6:15 regarding the body of Christ (the Church), where Paul says, “Do you not know that your bodies are members of Christ?” If you are a disciple of Christ, then you are a “member”, joined as a part of the body (family) of Christ, and the parts of your body are parts of Christ’s body. And this body feels what the other parts of the body feel. It also hold the body accountable to take care of itself when it’s hurting, neglecting itself, hurting others, etc. We’re not Christians, we’re ‘family members’ joined by and with Christ, with a mission to make His beauty and worth known over every earthly treasure. Jesus Christ has a body here on earth. It is called the Church. She has legs to go to the places that Jesus would go. She has arms to do the work that Jesus would do. She has mouths to say the things that Jesus would say. She has backs to carry the burdens that Jesus would carry. Paul said that his aim in life was that “the life of Jesus might be made known to others in his mortal flesh” (2 Corinthians 4:11). In other words, his aim is that his body might make Christ’s body real to the world. “A new commandment I give to you, that you love one another, just as I have loved you, you also are to love one another. By this all people will know that you follow me, if you have love for one another.” (John 13:34-35). Love, not self-centered interest, or nationalistic commitment over the good of your neighbor. Since this is not alway the case, Jesus calls out religious short-sightedness in Matthew 23:23c: “…you neglect the weightier matters of the law: justice and mercy and faithfulness. These you ought to have done without neglecting the others.” It’s this kind of neglect from among those who identify themselves under the term Christian, that misrepresents Jesus’ body. God’s people are willing to humble themselves, receive the correction, and let God’s spirit change them from the inside out. We’ve all blown it. We’re all among those who are far too something… Christianity isn’t about perfection, it’s about death. God’s people are willing to die, to admit when they’re wrong or have blown it. They are people who embrace brokenness, who boast in their weakness, and look for ways to serve the least, the last, the lost. Again, this is not a perfection competition, but a death sentence. A death sentence that places the Jesus follower into a tomb that becomes womb. The new birth that takes place after the death, is like ashes on forest floor, oil on dry skin, water in a dry desert, forgiveness from an enemy. A new life is willing to be poured out and consumed like the elements of communion, so that others might have access to God, or be refreshed, included, The bride will not always look like this, but she also will not blatantly ignore these corrections either. Her heart will be soft and teachable, eventually. The late Dorothy Day, founder of the Catholic Worker Movement, writes this in 1967 with her message being addressed to the church: “As to the Church, where else shall we go, except to the Bride of Christ, one flesh with Christ? Though she is a harlot at times, she is our Mother.” “In Peace Is My Bitterness Most Bitter”, The Catholic Worker, January 1967, 1, 2. The body is the bride. She is messy. She is adulterous. She does not act like a bride of a king at many times. She has members, and those who claim to be members, and they both shall remain together for now. She is often entangled in affairs that makes the groom cringe. She is in many ways lost. She needs to run back to her first love. She needs a conversion of the heart, not a reform of methods or a GOP who can give her the freedoms she wants. It will take humility and love to move forward, and I know God’s people will rise up to the challenge. 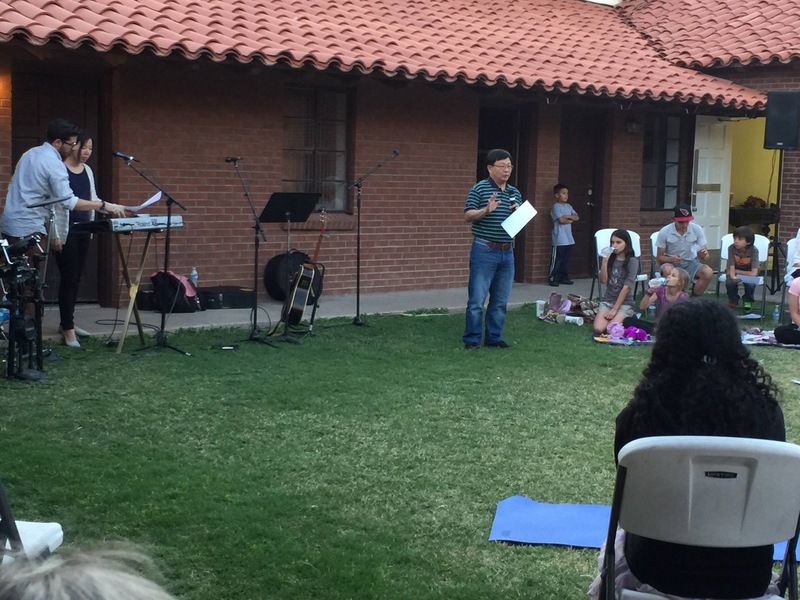 This past Sunday evening we gathered together with various churches, denominations, ministries, ethnicities, and generations. To say it was beautiful would be an understatement. It was so utterly normal and unimpressive on so many human levels, but the message this gathering shouted reverberated throughout my soul. It shook the heavens. It defied cultural norms. It was a corrective to the usual Christian gathering. Each church/ministry/ethnicity/gender was able to contribute to our time of worshiping Jesus. Multiple gifts were exchanged. Blessings were offered. Confessions were made. And the Lord’s table brought us together as one broken body. All this was done on a Sunday night when some families were stressed trying to get there, others sacrificed other routines, and a night at home to rest alone or with friends and family was forsaken. The inconvenient exchange was a night to display the brining together of diverse peoples and beliefs, a foretaste of the “every tongue, every tribe, every nation” reality that is proclaimed in the book of Revelations. 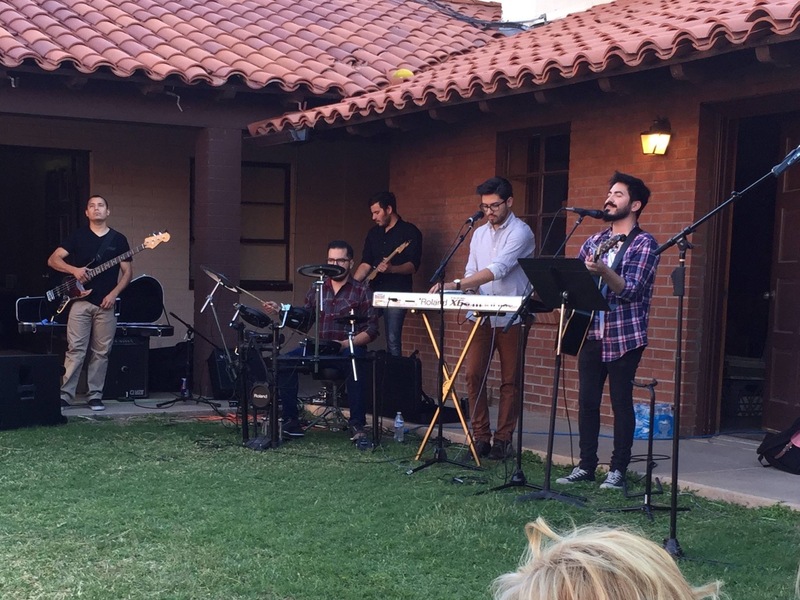 It was beautiful, but disrupting of rhythm and comfort, and as we all worshipped together, I couldn’t help but to reflect on the way in which we’ve formed our typical weekly worship experiences. We live in a culture that is fairly homogenous (ethnically, denominationally, generationally, etc.) when it comes to Christian worship. Some say we’ve splintered the table of the Lord into little pieces, and each Sunday we partake, we are only getting scraps compared to what God intended to offer his people. I’m not sure about that, but I do know we’ve been divided over the Lord’s table, and as the words of a good friend once said, ” It’s not our table to divide.” Some will read this and begin to defend their church, or stance, etc. My point isn’t to stir up a defense, but to call us to something altogether different than what we’re normally used to. It’s my opinion that our ideas of church and how we form as corporate entities have been terribly misguided by cultural homogenous norms. What we do and how the practices of what we do actually affects us is not fully known. But what we do know is that we are changed by the habits we have in life. What we believe to be the way life is supposed to be is made known to us by how we behave, who we gather with, and the things we make time for. What we love shines brightly in our thought life and in the way we organize our social world. To say we love diversity and unity and are “All for it!”, yet have little to no experiences of eating, praying, worshiping with those who are radically different from us, is to prove that we “like” the idea of diversity and unity, but we do not “love” it. We are not committed to it. We make time for the things we love. We sacrifice other good things to ensure our “loves” get primary time in our lives. This is precisely why a worship gathering with those who love Jesus and are of various ethnicities, tribes, denominations, and generations is a corrective voice to our typical way of living. These gatherings stimulate our prophetic imaginations. This is why an evening like last Sunday is worth the inconvenience, discomfort, or any awkwardness you may have while joining a gathering like this. We’ve had many cultural practices that compete for our hearts, our loves. And if diversity and unity isn’t an intentional part of our lives, it will be left out every time, and we will either admit we don’t really love it, or will make excuses as to why diversity and unity aren’t a major part of our Christian worship. What are you calibrated to? What is it that you love? Be slow to answer these questions. Take a life survey of the last month before you answer. Who do you hang out with? Who do you worship and pray with most? 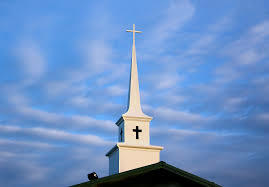 What’s your church look like? Does your church intentionally connect with other ethnicities and denominations? Or are the gathering mostly a single local church focus? What events are promoted in your tribe? I hope you can admit with me that we can do better, that we have work to do. We have some decisions to make and some things to consider sacrificing for the sake of glueing the splintered table of the Lord back together, metaphorically of course. And we need to be able to do this in humility without pointing the finger; offer a voice of correction, YES… start accusing certain people, churches and movements, NO. Look around you. Who’s crossing the aisles, joining other tribes, carving out space to do life together with those who are different than they are? Join them, but don’t leave your church. Invite others from your tribe to join you. Be a change maker, a trendsetter. Make it attractive and mainstream to be uncomfortable and uncommitted to homogenous worship gatherings and leadership teams. We need new normals, and I know that our time this past Sunday night was one of many of gatherings that have already been laboring towards this end. I pray for more to come and for a flood of professed Jesus lovers to welcome inconveniences for the sake of diversity and unity.